We love ceilidhs! You love ceilidhs! Let’s all ceilidh together. 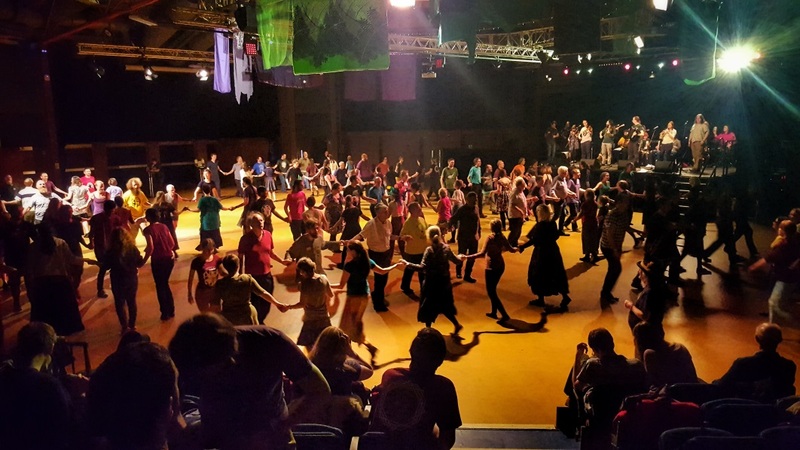 Ceilidhs are big social dances, with live music and a caller to take you through the steps. We run ‘English ceilidhs’, which are just a little bit informal, but you can expect dances from Scotland, America, France and even Turkey. They’re a lot of fun and a great way to make new friends! Anyone can come along and ask anyone to dance, whether you’ve been folk dancing your whole life or never considered it before today. The important thing is just to have a fantastic time! 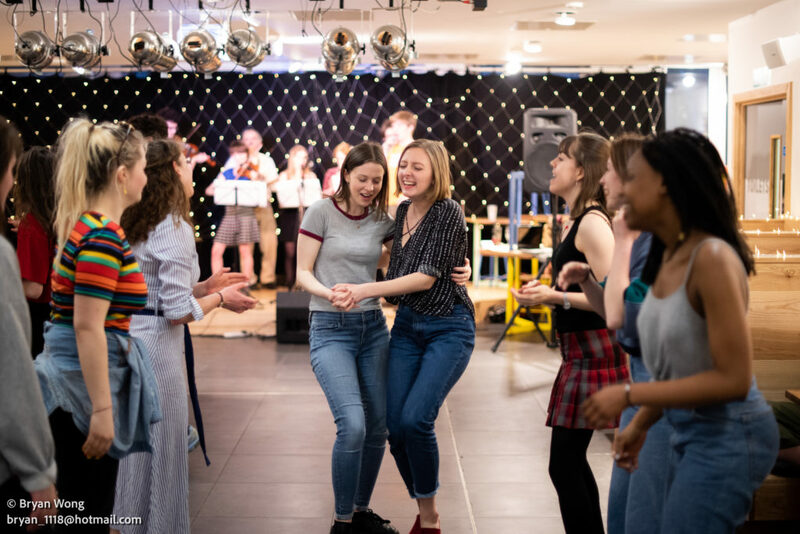 We run our own scratch ceilidhs about once a term – everyone’s welcome to turn up and play, or dance, or try their hand calling out instructions. We have also been known to team up with other societies and put on a bit of a party. Find the latest event announcements on our Facebook page here. We have our very own ceilidh band that plays for us. If you would like to join the band, practices happen on Fridays 5:30 – 7:30pm at the Multifaith Chaplaincy. Anyone is welcome to attend, please get in touch (folkclub@bristolfolksoc.com) for more details. Each week we run through some handy tunes in a bit more detail, and polish up for performances. If you’d like to run a ceilidh and you want us to be involved, Folk Soc would love to hear from you! 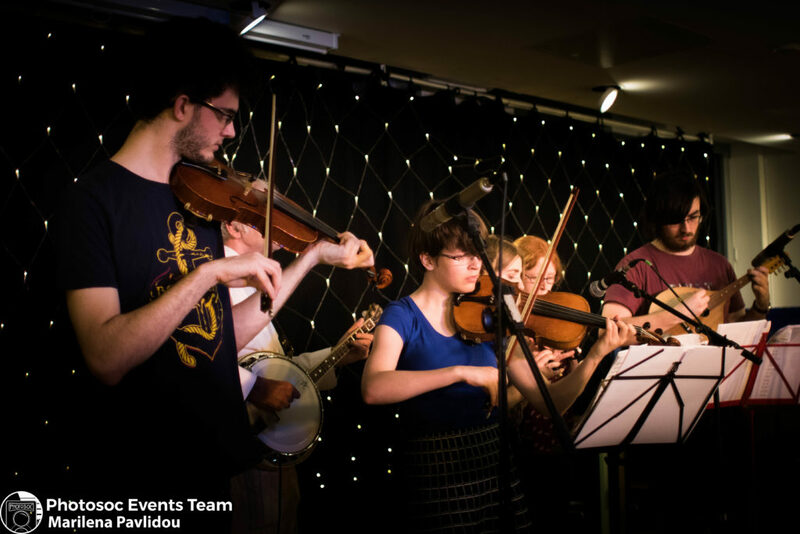 We can offer a range of options from a scratch ceilidh experience to a select performance from our student band. We’re also happy to put you in touch with some professional groups we recommend. Get in touch with our Folk Club Secretary at ceilidhs@bristolfolksoc.com who can tell you more. If you’re looking for some dance entertainment, perhaps in your ceilidh interval, then Rag Morris are here for you; contact bag@ragmorris.com. No dancing please! – If you just want music and no dancing, we can also provide a band for your event playing a mix of folk tunes.